The only people who won’t benefit from Medicare for All are the insurance industry CEOs profiting off people’s pain. 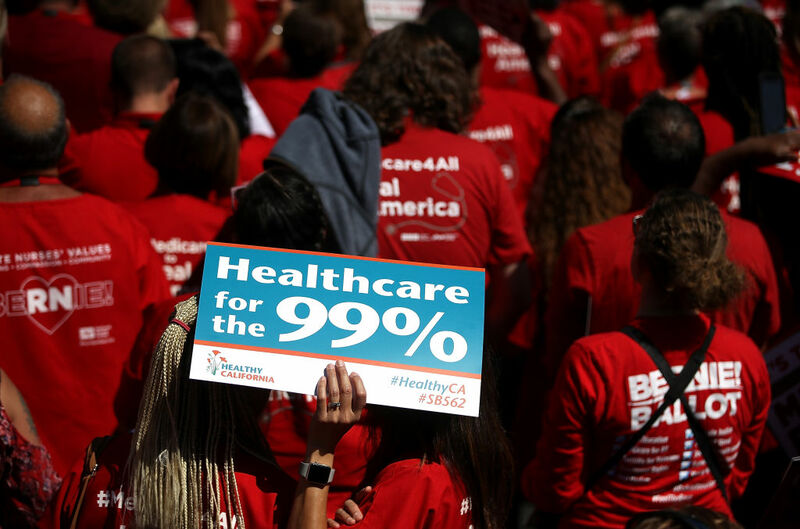 How much will universal health coverage cost? The Mercatus Institute, a Koch-funded free-market think tank at George Mason University, recently put it at $32 trillion over the next decade. That sounds like a lot, but is it? Well, the study also estimated that the cost was $2 trillion less than it would cost to do just the same thing as we are now — which is surprising considering the source, but much less interesting to mainstream reporters. But the Political Economy Research Institute at the University of Massachusetts has its own estimates. Its long and rigorous study shows we could cover everyone in the United States with no copays and cut overall health spending by almost a fifth. Lead author Robert Pollin, professor of economics at the University of Massachusetts and co-director of PERI, recently spoke with Doug Henwood for his Jacobin podcast Behind the News. You can subscribe to Behind the News and our other podcasts here. DH We hear all of these cost estimates on the TV, in the mainstream media that put an enormous price tag on Medicare for All and say we just can’t afford this. This is very misleading, isn’t it? RP Completely misleading. The fact of the matter is Medicare for All will cost less than what the United States is now paying for health care. That’s not very hard to accomplish because what we’re paying is exorbitant already. We’re paying about 18 percent of GDP, $3.3 trillion. Other countries at similar development levels such as Germany, France, UK, are paying between 9 percent and 11 percent of GDP for health care. The difference between us paying 18 percent and them paying 11 percent, in the United States economy, that’s $1.1 trillion. So there’s got to be some number between 18 percent GDP and 11 percent that we can easily hit through establishing Medicare for All. DH These estimates always double count the actual cost of Medicare for All, because they forget that we would no longer be paying private insurance premiums. RP Right. So one of the things we did in our study to try to make that point blindingly clear was setting up a financing framework in which the main source of financing will still be business premiums. They are taxes, but they’re still health care premiums. We said, whatever the businesses who cover their workers are paying under the existing system, the day after Medicare for All starts, they just pay 8 percent less. That establishes the point that this system is cheaper than the existing health care system. This entry was posted on Tuesday, January 15th, 2019 at 00:03	and is filed under Uncategorized. You can follow any responses to this entry through the RSS 2.0 feed. Both comments and pings are currently closed.